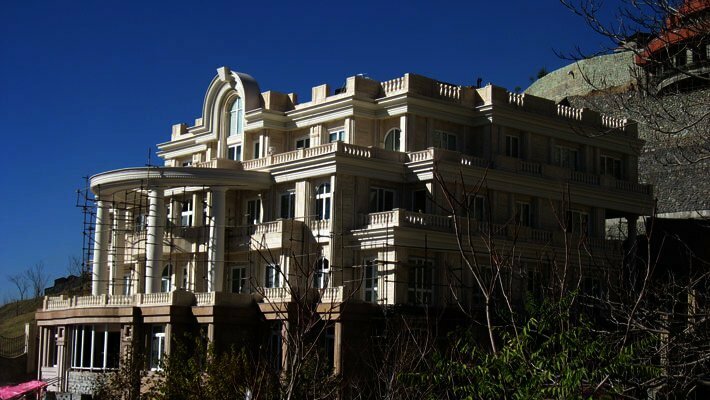 The luxurious lives of Iran’s regime elites is the perfect example of the rampant corruption and embezzlement that has marred every ministry and government run industry in the Islamic Republic of Iran. While publicly calling for “death to America”, Iranian officials are privately sending their children and families to live or visit the land of the “Great Satan”. There they use the money they’ve stolen from the people to live a life of luxury. According to Mojtaba Zonnour, a cleric who currently represents Qom in the Iranian Parliament, Obama gave Iran 2,500 US citizenships as a favor to the regime in the JCPOA (Joint Comprehensive Plan of Action). “Some gentlemen and officials competed with each other to have their children be among the 2,500,” the conservative politician with close ties to the son of Iran’s Supreme Leader added. But the lives of filthy rich well-connected Iranians is not only limited to lavish vacation destinations. 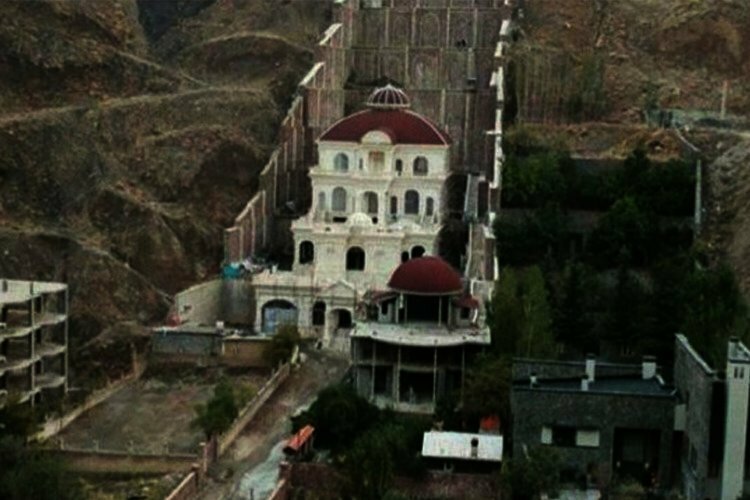 Their new playground is Tehran’s Lavasan region, dubbed the “Beverly Hills of Iran”. 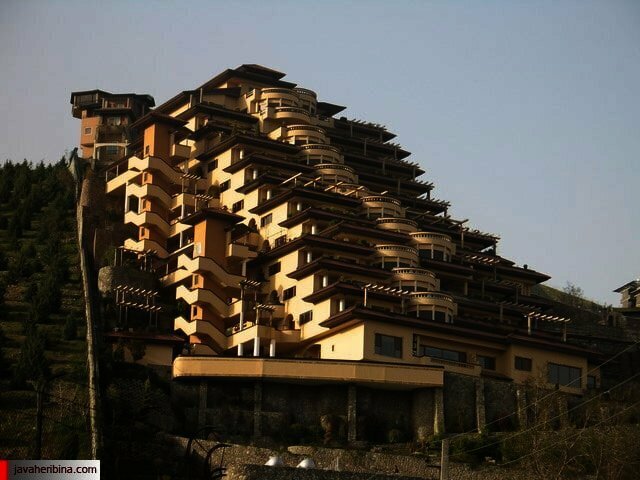 Lavasan is situated in Shemiranat County, 11 kilometers northeast of Tehran. The Jajrood River flows through the affluent town and due to its excellent weather those with free flowing cash have flocked to the small town. Lavasan recently made the headlines in Iran’s state run media due to the many construction violations sanctioned by regime elites and officials. “The influx of people to Lavasan in recent years despite the limited capacity of the region, and at the same time, the profitable construction opportunities has led to widespread violations in the town, from building a hotel on the banks of the river to scraping a mountain to build a deluxe palace,” wrote the state-run Mashregh website. According to Mashregh, instead of preventing the building violations, officials were after getting a piece of the land themselves. “We are faced with several phenomena in this area. One phenomenon is land grabs which has now reached the point of hill and mountain grabbing. The second issue is illegal and very illogical construction which is being carried out in Lavasan and Rudbar-e Qasran District. These constructions are being carried out outside the cities and on the peaks of mountains and are not only limited to Lavasan. 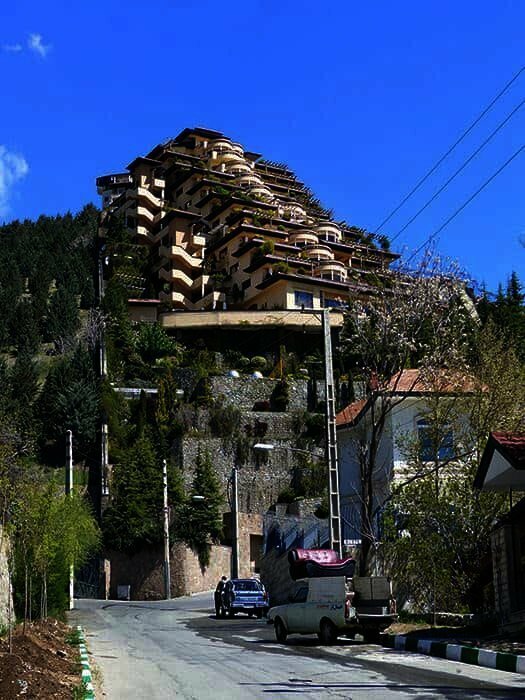 The building of villas in the mountains will damage water sources and mountains and these are serious issues for us,” Seyed Saied Lavasani, the head of Lavasan’s Friday prayers said in comments carried by Mashregh. He also disclosed that people from certain ministries called him to stress not to prevent certain people from building in the area. 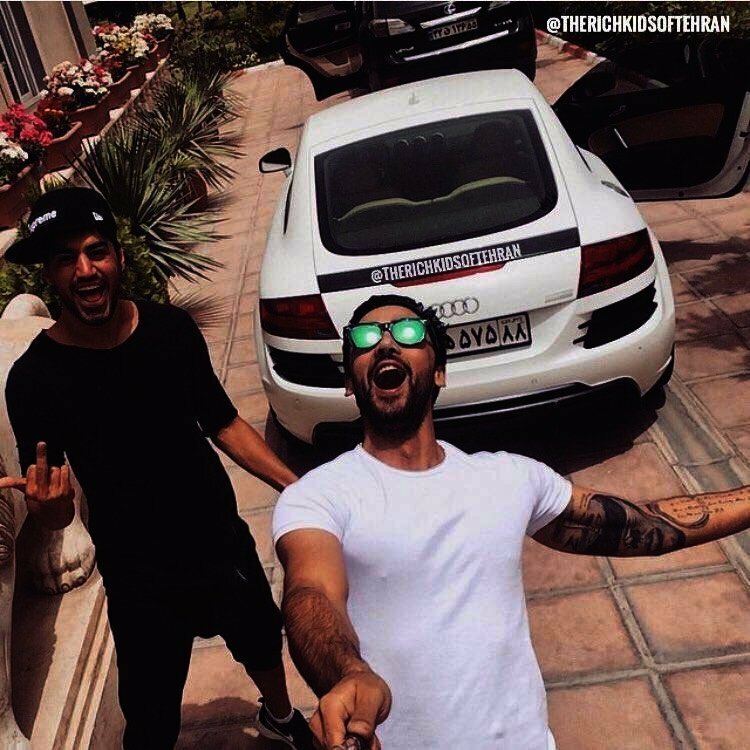 When flaunting parties, designer clothes and lavish cars no longer satisfy, the uncaring and entitled sons and daughters of regime elites turn to expensive villas in Lavasan with its extravagant accommodations and post pictures of their homes along with the price tags on social media platforms to somehow rub the noses of ordinary Iranians in their undeserved wealth. One of the most expensive areas in Lavasan which has become all the rage for the filthy rich, is Asalak, located along the Vargin mountain range. 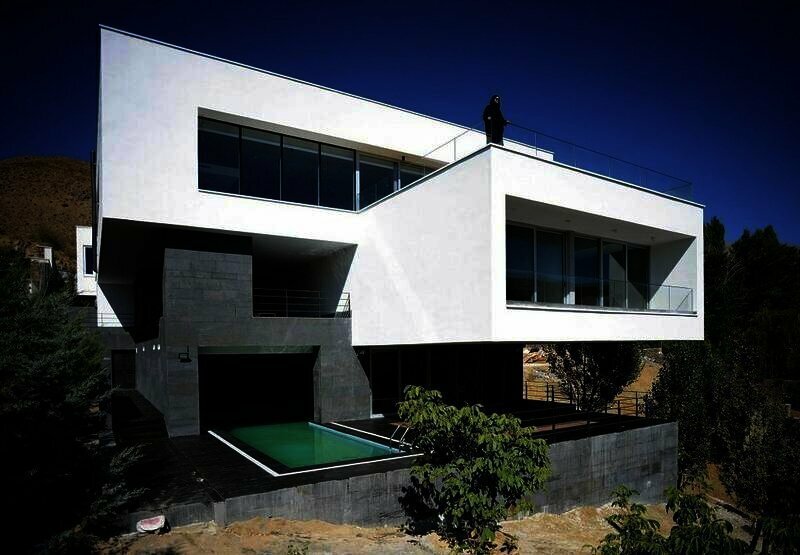 It is introduced to potential home buyers as Tehran’s Switzerland with its lavish and ridiculously expensive villas and mansions. The distance between Tehran and Lavasan is about an hour on a good day, yet the differences between the two areas are mind blowing. According to Lavasan’s mayor, a number of political officials live in the town which has turned into a lavish island for the elite. The Mayor did not disclose the names of the officials but according to Mashregh, other sources have said that Abbas Akhoundi, the former Minister of Roads and Urban Development, owns a sprawling villa in Lavasan. 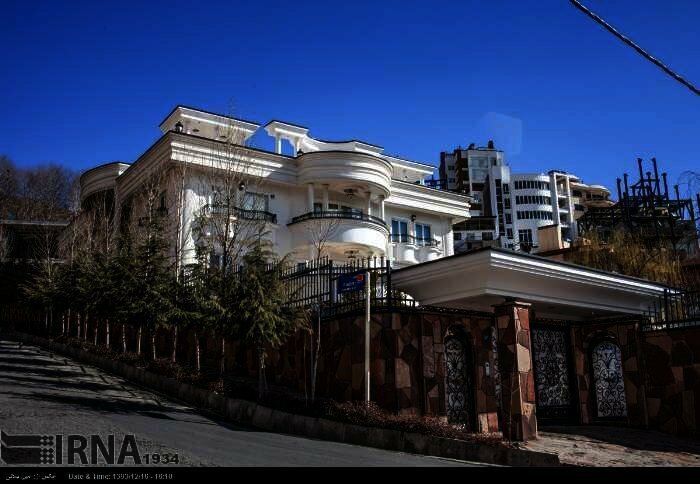 The former Minister of Education, Ahmadi Danesh Ashtiani, also owns a villa, a large area of which was used by his daughter to import designer apparel from abroad. The former Minister of Industry, Mines and Trade is said to also live in the area. This is while according to state-run media, more than 19 million Iranians live in 3,000 slums and make up the 35% of Iran’s urban population while 80% of the population live in poverty.